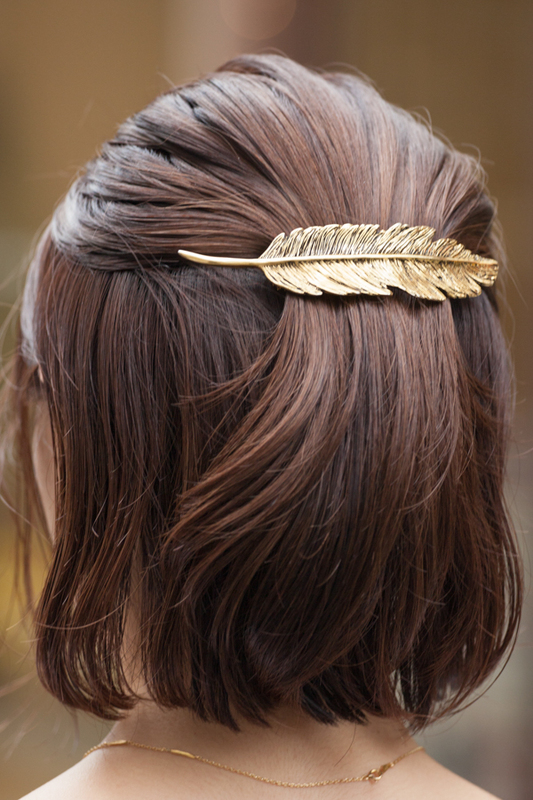 Do you know the hair accessory brand PLUIE that started in LA? With the concept of “PLUIE= hair jewelry for grown women, suited for rain”, it is an expanding brand that has items which, while being simple, has presence. The Japanese designer Yuya Takahashi, was an active hairstylist in LA, and from his knowledge and experience, makes PLUIE original accessories, calculating what will suit a wide range of hair quality, hair color, and face shapes. Such motifs as starfish and shells, dear horns and feathers, are put into design as if they had been gathered up from the world of nature, and the pieces are all finished by hand. Currently not only hair accessories, but also complete with rings, chokers, and earrings, PLUIE is gathering support from a wide range of people. 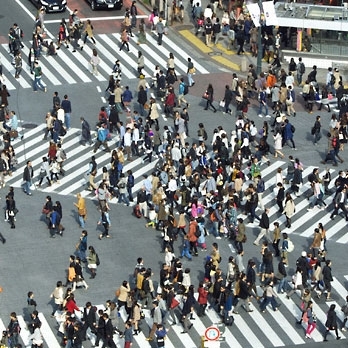 It was handled mainly by select shops, like BEAMS and Ron Herman, as well as by mail order, but in May of last year the first flagship store in Japan was opened in Jingumae in Shibuya-ku, which expedited its popularity. Also on the streets, fashionistas susceptible to trend are quickly incorporating the look. The woman in the picture below is wearing PLUIE’s “crescent comb”. With a minimal design without waste, it does not get in the way of hair arrangement but truly becomes a properly upgraded style. 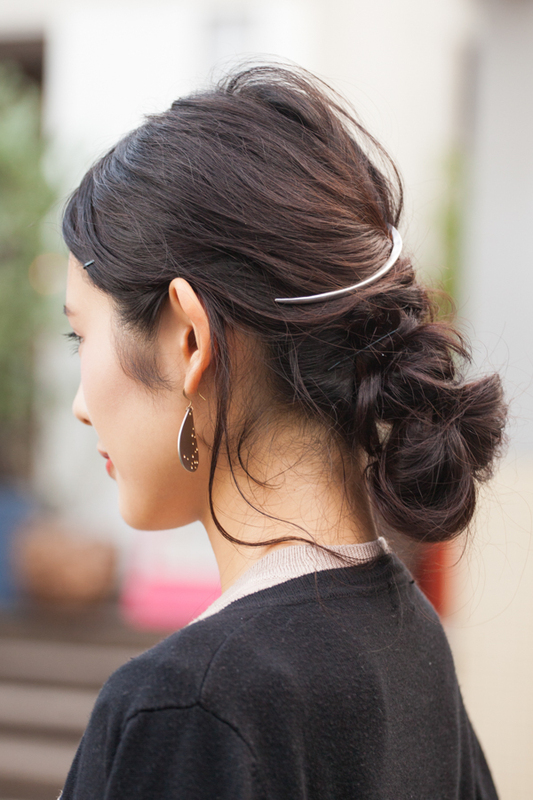 In this way, PLUIE items are compatible and exceptional with fancy hair arrangements. Of course, why not buy it to also raise the rank of a simple hairstyle? 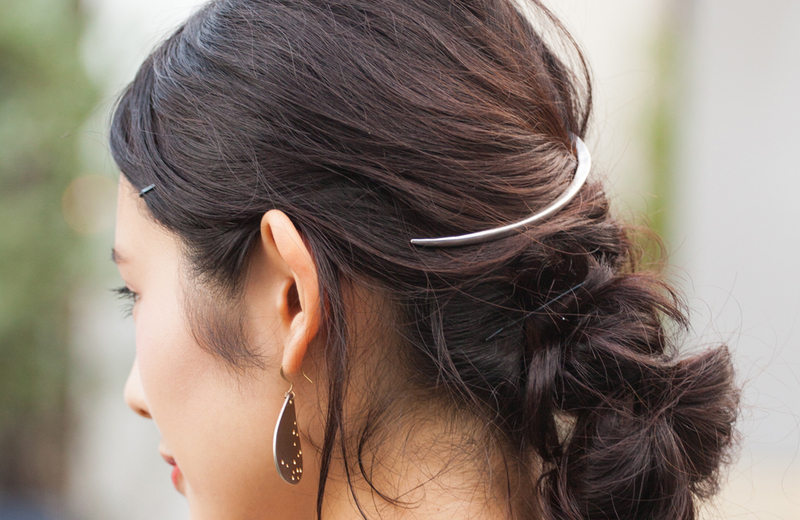 If you choose an item with less assertiveness, depending on the hair accessory you do not have to worry about breaking down the overall balance. Its Instagram account (@pluiehair) is necessary to check out, introducing hair arrangement tutorials and coordination using PLUIE accessories. Prices ranges are ￥10,000～17,000 for hair pins, ￥17,000～22,000 for barettes, and ￥23,000～60,000 for chokers; it is slightly higher because it is targeting adult women. Although there are many similar goods at lower prices, we also want to wear by all means the genuine grownup accessory.